Financing a new or pre-owned vehicle can be a difficult task. Luckily, it does not need to be. In recent days, consumers have multiple automobile financing alternatives available to easily finance their car purchase. Traditional banks, such as Chase, Wells Fargo, and Capital One, are the ones that a majority of people think about when it comes to car financing. Likewise, a cooperative credit union can be an additional preferable option for car financing requirements; however, vehicle consumers commonly don’t realize that getting financed at the auto dealership (where you’re purchasing a car) can be a more convenient and much better option than choosing to get financed from a bank. Auto Dealership Finance or a Bank Loan: Which is Better? Those who want to purchase a automobile wonder whether to utilize dealer financing or finance via a community financial institution, or even from a lending credit union. While all alternatives feel similar, a dealer-arranged financing is generally one of the most hassle-free choices for vehicle buyers. So What’s the Difference: Financing at an Auto Dealer versus Bank? Basically, ease of the loan process is the major difference here. 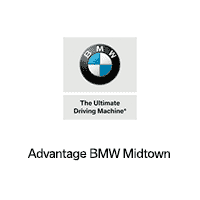 When you fund an automobile at the car dealer, you are essentially allowing the car dealership be your middleman to obtain the very best offer available. The car dealer’s financing group is most likely to do all the legwork on your behalf. The dealer usually makes use of the exact same financial institutions that you are currently familiar with or perhaps may bank with. However, car dealers additionally have the accessibility to certain lending institutions that you may not know. Is it a big deal for an automobile purchaser like you? Well, having accessibility to several loan providers indicates that if you do not obtain an approval from one bank, the car dealer can work closely with other banks to get you approved without you filling up an additional form for the entire procedure. This, certainly, saves your valuable time. If you go apply directly to a bank, then you are at their mercy to get the best rate they can offer. This leaves little competition or incentive for that bank to offer you a lower rate or other benefit. Financing at the auto dealer, however, puts power back in your hands because lenders and banks fight to obtain your loan. They offer their best rates in the process. Bank vs Auto Dealership: Whose Rates Are Better? When you apply for a loan directly with a bank, then you get the APR that they determine to offer. That indicates there’s truly no competitors or stress on the lending institution to provide you any kind of additional incentives or a lower price and any type of other advantage. This is not the situation when you choose the dealership for loan. That’s because the car dealer places you in a position where lending institutions and financial institutions compete to obtain give you the very best price, so you will make a decision to accept their deal. For that reason, the lenders right here will offer their best rates while doing so. Here is some of the top reasons that you should select car dealership finance rather than costs time at a financial institution. Evidently, among the all noticeable factors for choosing dealership financing is the comfort of getting the auto loan as well as the automobile from the very same car dealer. Consumers, with auto dealer finance, will save a lot of time and the auto dealer money group will do whatever on their behalf. Considering these benefits, which certainly the typical auto lender doesn’t offer, auto dealership finance is a much better choice. The vehicle loan choice provided by the auto dealer is less complex than the procedure of taking a car loan from a financial institution. The car dealership’s financing team will work closely with you and help you in having the paperwork ready, recognizing the car loan process, and discovering the best rates. For these reasons alone, many buyers merely go with the flow and prefer the auto dealer car loan option over any type of various other vehicle loan option. Most of the time, it is much easier to get a better interest rate if you go through the dealer. This is due to the fact that financing managers understand different programs and rates you may get that best fit your budget. When you undergo a specific bank approval process, then all you have access to is just ‘their’ vehicle financing programs. Do Auto Loans Financed At an Auto Dealer Appear On Your Credit Report? Obviously, a auto loan will show up on your credit rating record after you make an application for an auto loan at a dealership. All the financial institutions and lenders utilized by the auto dealership likewise act in a similar way as any kind of various other financial institution and report to the credit bureau regarding every such purchase done by you throughout the car loan application and the approval process. Technically, the only and one of the most noticeable distinction between getting financed at your auto dealer vs. a financial institution or lending institution is that you don’t need to do all the legwork and drive to the lending institution’s office or bank to authorize documents. If you are already pre-approved with one more lender, don’t forget to bring in your pre-approval letter to the auto dealership and let their finance manager take care of the next steps.